June 17, 2015, 5:15 p.m.
Donald Trump may have joined the GOP presidential contest yesterday, but his entry may not necessarily be one that Republicans welcome. 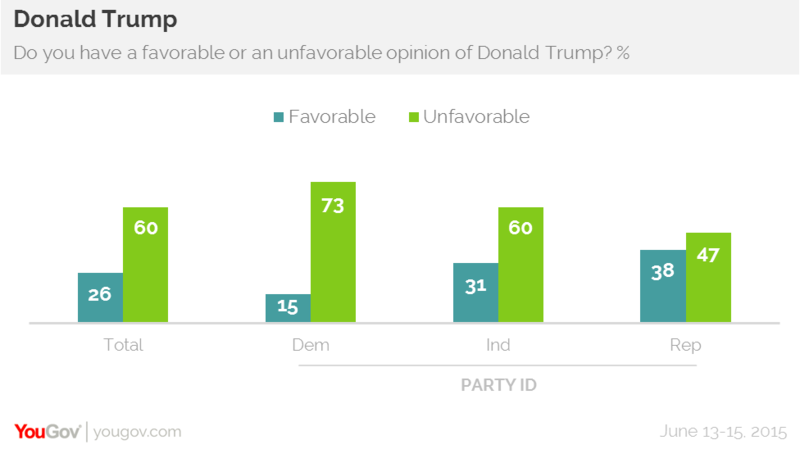 In the latest Economist/YouGov Poll, more Republicans have an unfavorable view of Trump than a favorable one – and the New York developer is the only potential GOP candidate who earns that dubious honor. 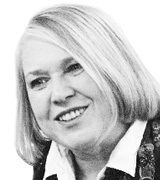 All other potential candidates in this week’s poll are viewed mostly favorably by Republicans, although they are closely divided about two of the other announced candidates, former New York Governor George Pataki and South Carolina Senator Lindsey Graham. For both those men, many Republicans have not yet formed an opinion. More than one in four Republicans are unsure about Pataki, while four in ten have no opinion about Graham. Only 15% of Republicans can’t express an opinion about Trump. Trump fares even worse with those outside the Republican Party (and he is just as well-known among Democrats and independents as he is among Republicans). Six in ten overall are unfavorable towards Trump, and Democrats are even more negative. The poll was completed just before Trump announced his candidacy. Most people, both Republicans and Democrats, can rate Trump ideologically. Those Republicans who can characterize Trump, say he is less conservative than candidates like Texas Senator Ted Cruz and possible candidate Wisconsin Governor Scott Walker. But he is seen as more conservative than other Republicans like Pataki, Graham and Trump’s fellow Northeasterner New Jersey Governor Chris Christie. Former Florida Governor Jeb Bush, who also just announced his candidacy, is seen as just about as conservative as Trump. 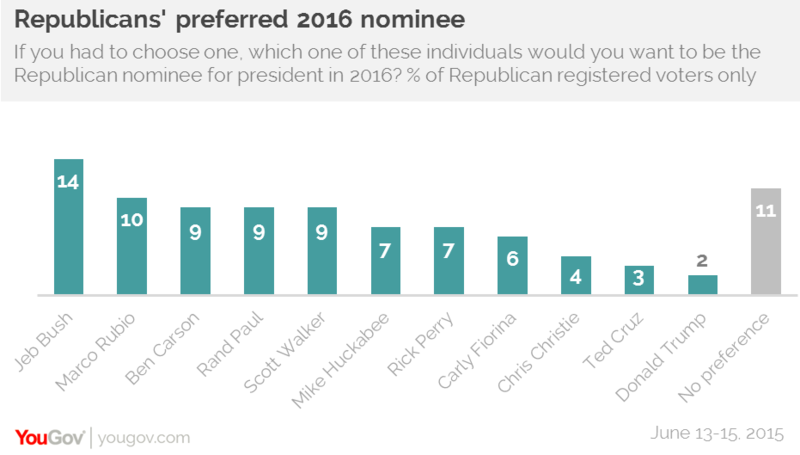 Bush is one of the frontrunners for the GOP nomination. He leads in this week poll, though he is followed closely by Florida Senator Marco Rubio, Tennessee Senator Ron Paul, and Walker. At this point in time, Trump is near the bottom of the pack. 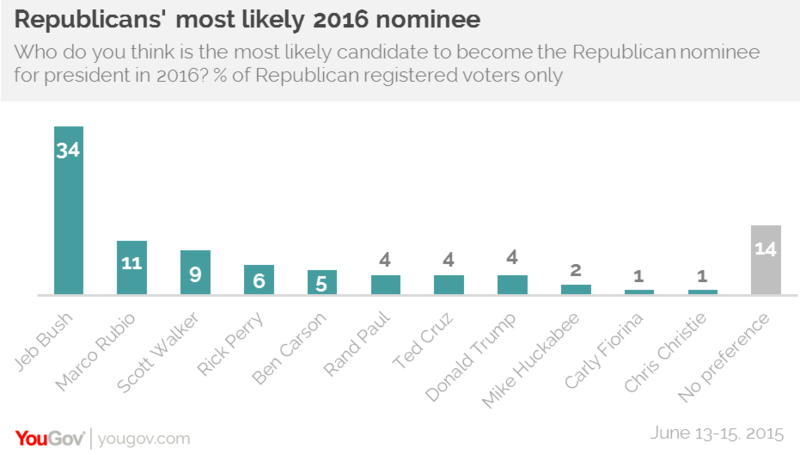 Bush is thought of by Republicans as the candidate most likely to win the GOP nomination next year. On that question, Bush is even more of a frontrunner. Independents, some of whom might vote in the Republicans primaries and caucuses next year, also rank Bush first on both those questions. Trump fares slightly better with independents than he does with Republicans; 7% of independents favor him for the GOP nomination, and 6% think he will win.